Amazing news for all indie music fans; The Zutons are heading to Caerphilly Castle! The Zutons are the latest band to be announced at Wales’ largest castle and are part of a busy July line up of live music in South Wales. This 750 year old castle (with the help of Welsh promoters Orchard Live) has really established itself as a top music venue since 2016. With many popular bands, including Ocean Colour and The Levellers, playing there in recent years. The magnificent backdrop and excellent acoustics have proved a real hit with music fans around the countr.y. Leading Orchard Live to bring more and more bands to the majestic Caerphilly Castle. The July gig will see The Zutons perform their iconic, double platinum album ‘Who Killed The Zutons?’ and coincides with the 15th anniversary of its release. This news of the first Zutons tour in nine years has delighted fans everywhere. 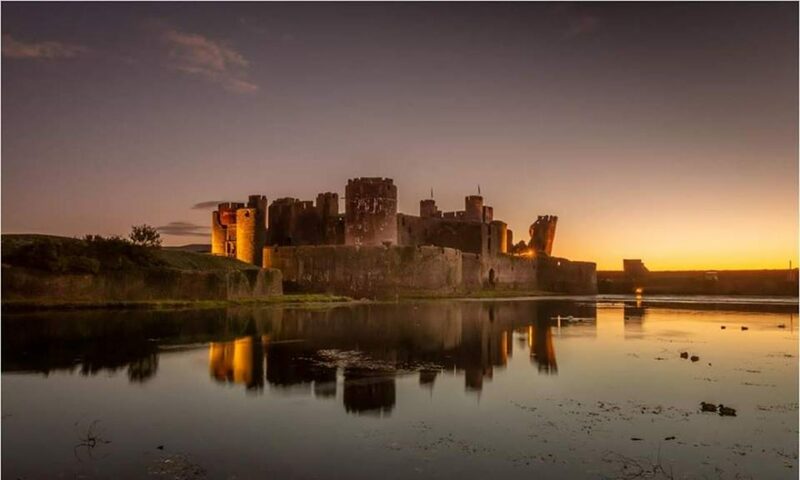 The Stranglers and Ruts DC will play Caerphilly Castle a week prior to The Zutons as this July proves to be heating up in this friendly Welsh town. The US rockers, Black Stone Cherry, will then be performing the day after The Zutons on Saturday 13th July. Alternatively, book locally through Blackwood Miners’ Institute or by calling 0844 844 0444. Winter is coming and things are looking really interesting at the iconic Caerphilly Castle in 2018. As part of their magical Christmas celebrations, there’s the chance to see Father Christmas in their fantastic, medieval castle – what better way to get into the Christmas spirit? Indeed the town of Caerphilly will be alive with festive magic on the second weekend of December, when you cannot only visit Father Christmas in his grotto but also take a walk around their famous Christmas Markets and enjoy a mulled wine or two. There will also be the amazing opportunity to skate on Caerphilly Castle’s first ever ice rink as well. The perfect way to relax and enjoy the festivities within these stunning castle grounds. The ticket price will include a present for your little one and their entry to the castle. Tickets will be available to buy at Caerphilly Castle from 1st November 2018. Please call 02920 883143. Yeah – The Big Phill Comedy Night is back! Also, not only is there the chance of seeing five top comedians for a tenner, if we sell over 100 tickets before the event, we’re going to throw in a free drink* too! We’re pleased to announce that our MC will be the fantastic Lorna Pritchard, fresh from her monthly sellout comedy shows in Cardiff. Joining Lorna, will be the amazing Andrew Rutledge, the heart warming Col Howarth and the hilarious Karen Sherrard. Our headliner for the evening will be none other than the super funny award-winning Simon Emanuel! To purchase a £10 ticket for the event, please go to either Eds Attic Music Store, The Old Library, The Visitor’s Centre and Caerphilly Rugby Club. They will also be available on www.ents24.com and www.seetickets.com shortly. Tickets will be £12 on the door. Time to bring the fun to the Philly!!! All tickets purchased for the event dated 3rd March 2018 are valid for this new date!